Every cultural or linguistic group has its own collection of words of wisdom. The Chinese just overwhelm themselves to the point of being excessive. One could easily tread the line if one wasn't careful with every move of the body and every turn of the mind. So here's one for the audiophiles who are so accustomed to walking a fine line all the time: "Happy are the poor if they are content. Wretched are the rich if they are insatiable." I know two friends. One is a true music lover who has been enjoying his 40-year old collection of Classical vinyl on vintage Thorens, Marantz and LS3/5a gear. One pride himself as a true audiophile who indulges in the priciest, most sought-after collectible LPs and hottest audiophile CDs on his Basis Signature + SME V + ClearAudio Gold Finger, Esoteric P-01/D-01/G-0s, Krell Evolution One + Two and Venture Grand Excellence Diamond SE (forgive me for not mentioning the cables). Don't get me wrong, both these guys are happy. At least they both claim to have found their Holy Grail, although one would not blink to upgrade his if something holier came in sight. The real questions worth pondering are: Who is rich and who is poor (you know I am not referring to monetary terms)? And who has the golden ear? Or what is the true meaning of golden ear? In other words, golden ear for what? Bear with me for more case studies among friends. I know a number of musicians. Let me single out a violinist conductor, a concert pianist and a piano duo. All these musicians are still active and in the prime of their careers teaching, performing and recording. None of these people own a 'decent' HiFi system by our standard, or by any standard for that matter. Yet they can tell the smallest detail in tonal shadings and nuance in musical interpretation. My violinist conductor friend has such a busy schedule that the only time he listens to recordings (other than in recording studios) is while he's driving. The piano duo is a married couple emigrated from the Ukraine many years ago, bringing with them their prized collection of Russian LPs unknown to the western world. 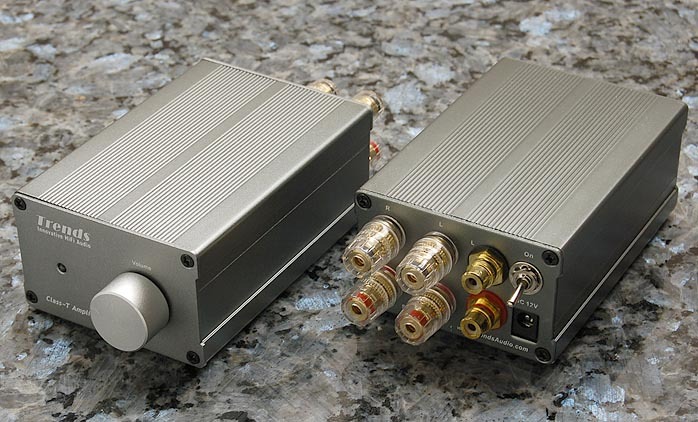 I had the privilege of listening to a few on their very humble pick-up and receiver setup. Once we were comparing a number of recordings of Liszt's Sonata in B minor made by various pianists. As guided by my hosts' insights into the interpretations, I began to hear what they could hear even on such a Lo-Fi system. That's what I call golden ears. The other pianist friend Gloria Saarinen has a proud discography of 20 CDs or so, from solo works, vocal accompanist to chamber music. Recently she came to my place to test-run her new recordings. I was amazed by how well she was able to tell the subtleties between different mixes. That's what I call a golden ear. Yet, at home, all she has is a simple, mass-market audio system of outdated technology. I have better gear but she has better ears. How embarrassing. Again, please don't get me wrong. I have no intention to snub audiophiles. I just couldn't stress enough the importance of music over equipment. We often say a piece of equipment is involving and another is not. But the real question is whether you are willing to let yourself get involved or not. It is the music that involves, not the tight bass or the soundstage and definitely not the equipment. Let your ears be music-trained, not equipment-trained. The best way to do that is, like my music friends, through some humble equipment. For too long, we've let the price tags of equipment lead us into an insatiable quest for the Holy Grail. After all, it's human nature that if you spend thousands and thousands of dollars, you expect to hear tighter bass, a bigger soundstage and more. But once you are able to listen 'poor' and take the price factor out of equation, you will be free from the audiophile syndrome. You'll be surprised that the lower the price, the easier and quicker the music resurfaces. One such piece of equipment is the TA-10 from Trends Audio. The so-called Class-T amplification has been around for a long time (since 1995) and I am not the first one to discover its musical merit. (A quick note on Class-T: Class-T is actually a registered trade mark of Tripath Technology Inc. for their Digital Power Processing (DPP) technology which is one of the many modifications on Pulse Width Modulated (PWM) switching technology more commonly known as Class-D. Due to the their small sizes, huge efficiency of about 90% and excellent sonic quality, Tripath amplification chips have extremely wide applications in home theater, computer and car audio.) 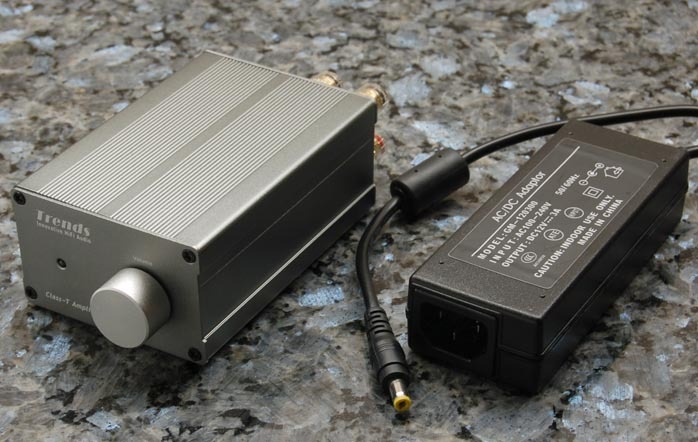 In Jeff Day's September 2004 review on Sonic Impact's $39 retail T-amp, he compellingly proclaimed that "the T-amp lets the emotive aspects of the music come through much in the same way that a single-ended triode amplifier does even if it didn't exactly sound like one... it plays music with passion." Music with passion. Guys, isn't that what high fidelity is all about? The Sonic Impact T-amp was originally designed for portability (and therefore runs on eight AA batteries) but ended up striking the chord with some of the more discerning ears who, as Jeff enthusiastically reported when the price tag was revealed, were flabbergasted by "its combination of light weight, small size and heavyweight performance." So a year later when Sonic Impact introduced the much beefed up Super T-amp, retailing for a mere $139 with augmented cosmetics, upgraded parts and improved sonic quality, Jeff was compelled to give it the Blue Moon Award. 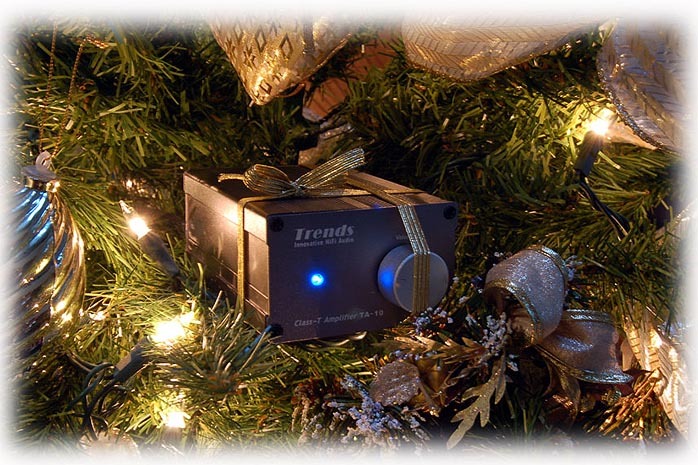 Officially launched on May 9, 2006, Trends Audio (of Hong Kong) had the unfair advantage of studying the Super T-amp for more than 6 months and their TA-10 obviously had the upper hand of improving on already proven formula. 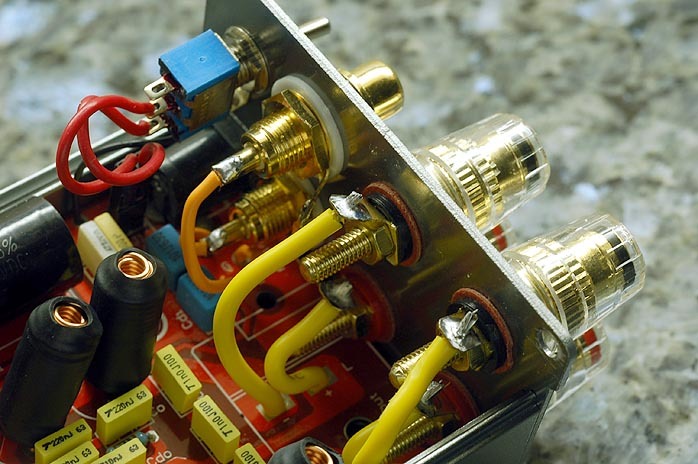 Those refinements include better cooling for the amplification chip by means of mini heat sinks and solder slog, shorter signal paths, improved grounding/shielding, higher grade components/parts and lower gain factor to achieve lower distortion power. All in all, it's definitely a steal for an introductory price of $99. (Price has been adjusted to $119 for version 1.1 since early 2007.) Built around exactly the same Tripath TA2024 Class-T audio amplification IC, the TA-10 landed in my palm in a dark silver aluminium chassis measuring only 4½" long. Can you imagine how short the signal paths are? It weighs only 1.1 pound, light as a sterling silver tinkle bell, yet tough as an oyster shell. On the front panel (3" x 1 13/16"), there's an aluminium volume control knob in lighter shade and a blue LED to indicate operation. On the more cluttered back panel, there are your high-end audio-grade gold-plated 4-way speaker binding posts that accept plugs, spades, pins or naked wires, a pair of gold plated RCA input sockets, the power on/off toggle switch and a 12-volt DC power supply socket. (By the way, I should point out that the speaker binding posts are insulated with clear plastic for short-circuit protection - a must for such tiny chassis whereby a cramped rear panel is unavoidable.) However, it's what's inside that really gets audiophile hearts aflutter once they see the air-core inductors and other goodies. 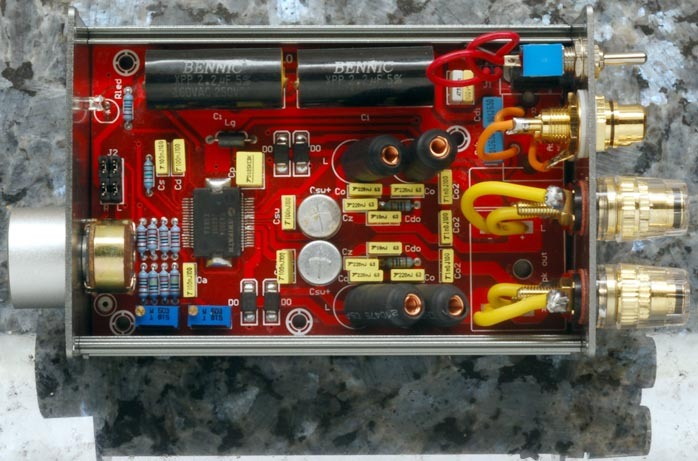 The air core inductors in this case play a significant role as a low pass filter (LPF) which is the critical component to filter those high frequency generated in the Pulse Width Modulated (PWM) switching from the output signals. Apparently, air cores perform better than the cheaper magnetic cores. 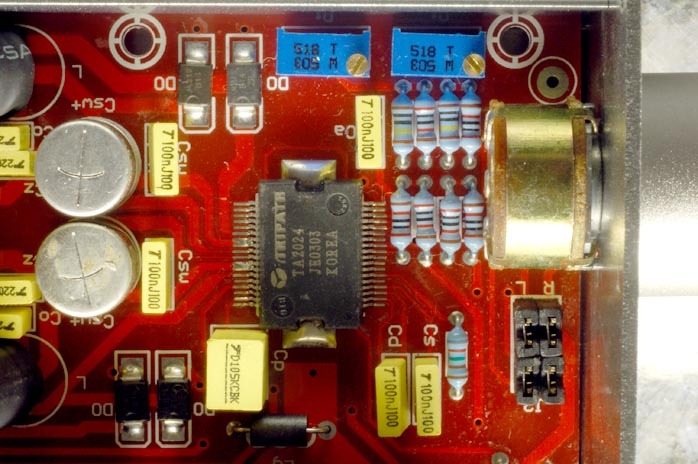 Speaking of gain factor earlier, the TA-10 remains faithful to the original Tripath design and keeps it at 12 times. The other more ambitious T-amp pushes for higher gain of up to 21.6 times. While it seems to be louder than the TA-10, the distortion is obvious when you dial up the volume. You probably notice some discussion about that on audio forum pages like audiocircle.com.